Joel Edgerton is an Australian actor and filmmaker who is most widely recognized for his roles in movies like Zero Dark Thirty, The Great Gatsby, Animal Kingdom, Black Mass and The Square and Felony. He starred as Owen Lars in Star Wars Episode II and III. He received a Golden Globe nomination for Best Actor for his stellar performance as Richard Loving in the historical drama film Loving (2016). 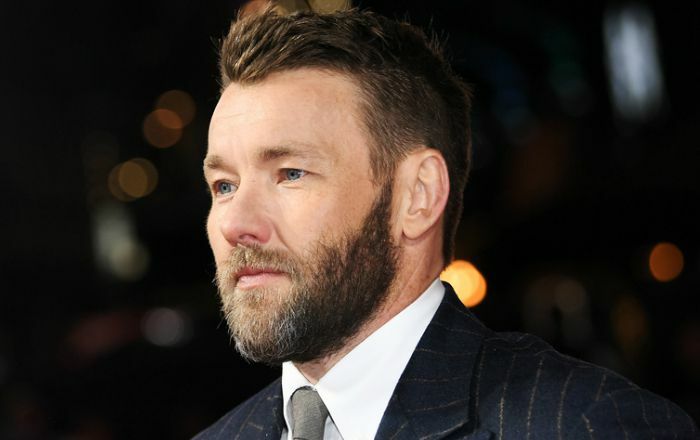 Joel Edgerton was born on June 23, 1974 in Blacktown, New South Wales, Australia. He’s currently 44 years old. Edgerton attended Hills Grammar School in Sydney, graduating in 1991. He then studied drama at the Nepean Kingswood Campus at the University of Western Sydney. Joel Edgerton is currently believed to be single, however, rumors about him dating actress Jennifer Lawrence surfaced after they worked together in the film, Red Sparrow. The actor usually prefers to keep his personal life low, but he has been in a relationships with Cathy Freeman (Athlete), Wanessa Milhomem (Model) Alexis Blake (Actress), Isabel Lucas (Actress), and Robin McLeavy (Actress). Joel wears a size 10 (US) shoe. Joel was first seen in the 1996 comedy drama film, “Race the Sun” , in which he played the role of Steve Fryman. Directed by Charles T. Kanganis , the film had Halle Berry and James Belushi starring in the lead roles. Before that, he appeared in a short film titled “Loaded”, which was released in the same year. He made his directorial debut with the 2015 movie “The Gift”. Joel made his television debut as Andy in the episode named Wild Card in the TV series “Police Rescue” in 1995. His performance as Patrick in the Oscar winning movie Zero Dark Thirty (2012) received lots of appreciation and accolades as well. Another significant role in his career came in 2013 when he starred alongside Leonardo DiCaprio and Amitabh Bachchan in the movie, “The Great Gatsby”, in which he played Tom Buchanan. He was nominated for multiple awards in Best Actor category for his performance in the movie Loving. The film was released in 2016. He portrayed the character of Richard Loving and earned critical praise for his performance. Favorite Actors – Gene Hackman, Gary Oldman, Philip Seymour Hoffman and Ben Mendelsohn. Joel Edgerton’s net worth is estimated to be $3 million dollars. He earned his fortune from his acting career all over the years. His brother Nash Edgerton is a successful filmmaker and stunts man. They both have appeared together in many movies. Joel was conferred with the the best actor award at the Melbourne Underground Film Festival for the movie Acolytes in 2008. He won an AACTA award for ‘Animal Kingdom’ in 2010. He is the co-founder of the Blue-Tongue Films. He is good friends with his co-stars from the movie King Arthur (2004) Mads Mikkelsen and Hugh Dancy. He has been an ambassador for The Fred Hollows Foundation for several years.